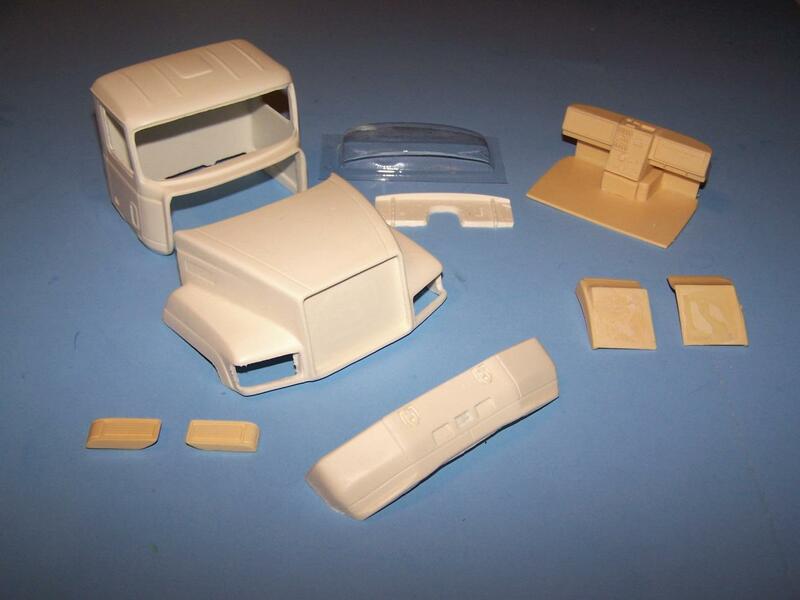 Complete kit to convert Italeri U.S. truck kits with generic frames to a Mack F model sleeper cab. Kit is supplied with right hand drive. 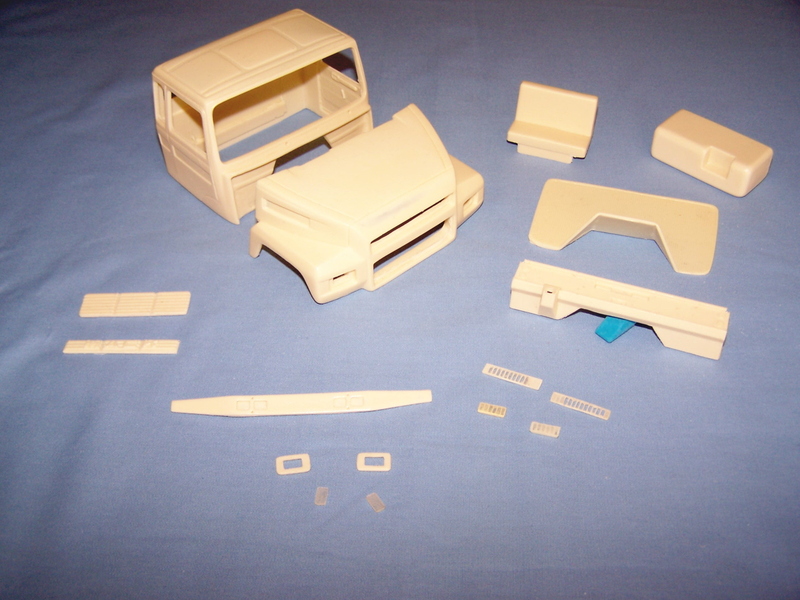 To convert to left hand drive see the cab accessories section for Auslowe D22A, left hand dash conversion. 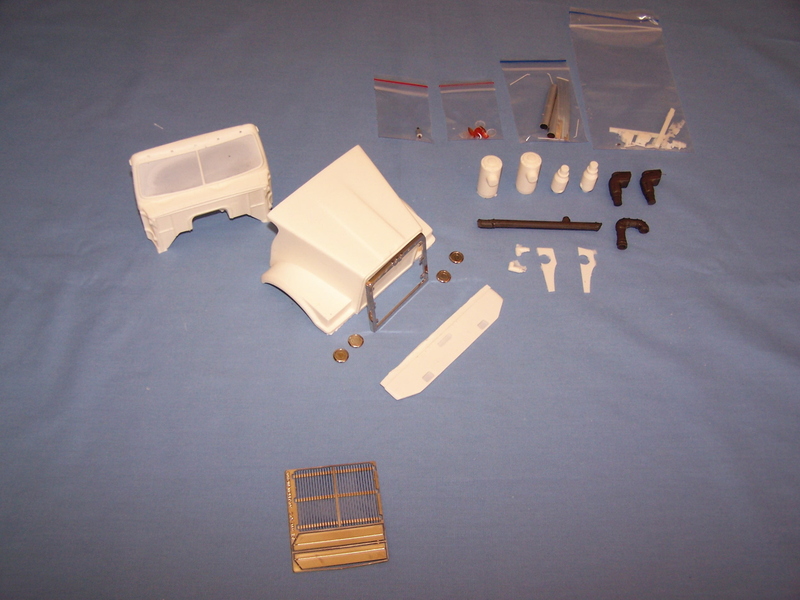 Includes 26 resin, 22 white metal and 41 photo etched parts along with headlights all windows and full instruction sheet. 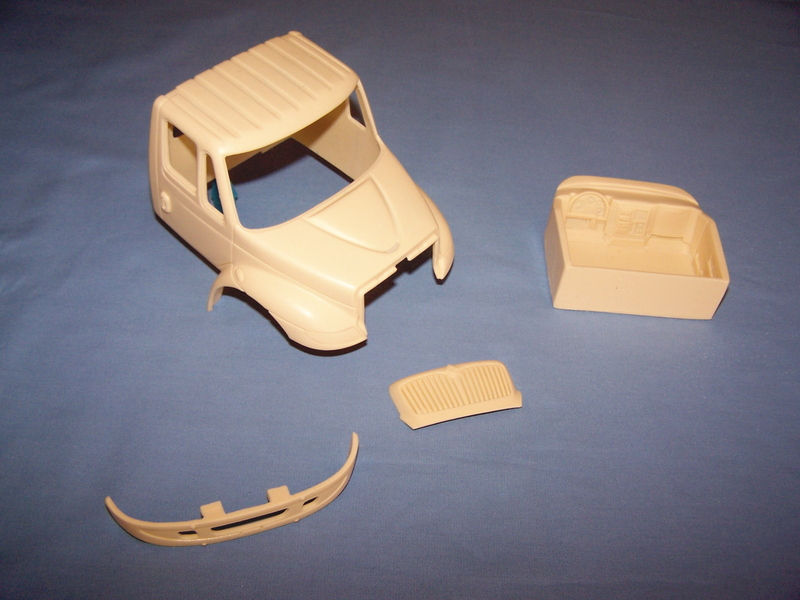 Includes cab,hood,interior base and dash,cast grill,construction type bumper and vacuum formed windshield. Photo etch grill and Elite emblems available separately. Includes cab/hood, grill, bumper, headlights, interior base with seats and dash. Cast by All Seasons Collectable Toys. Includes cab, interior bucket, dash and seats. 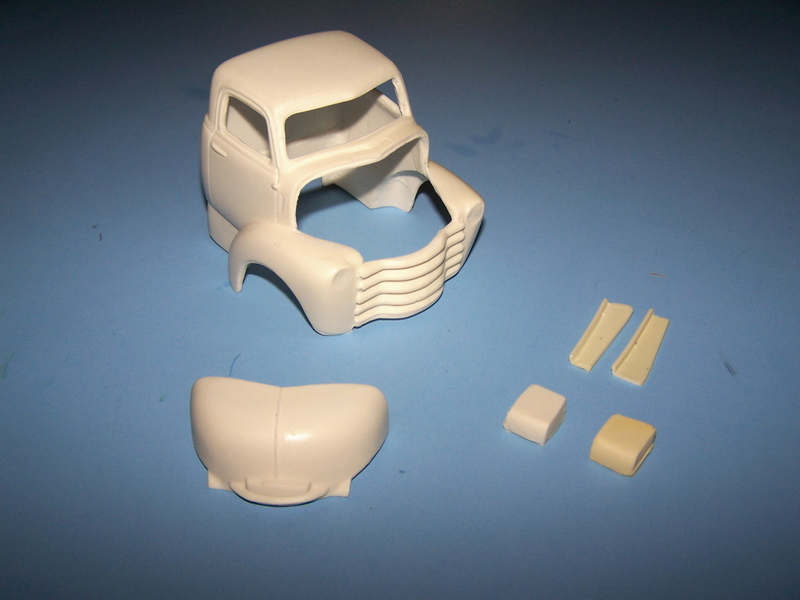 Includes Hood, cab front panel,grill,headlights,air cleaners and piping,bumper and photo etch sheet. 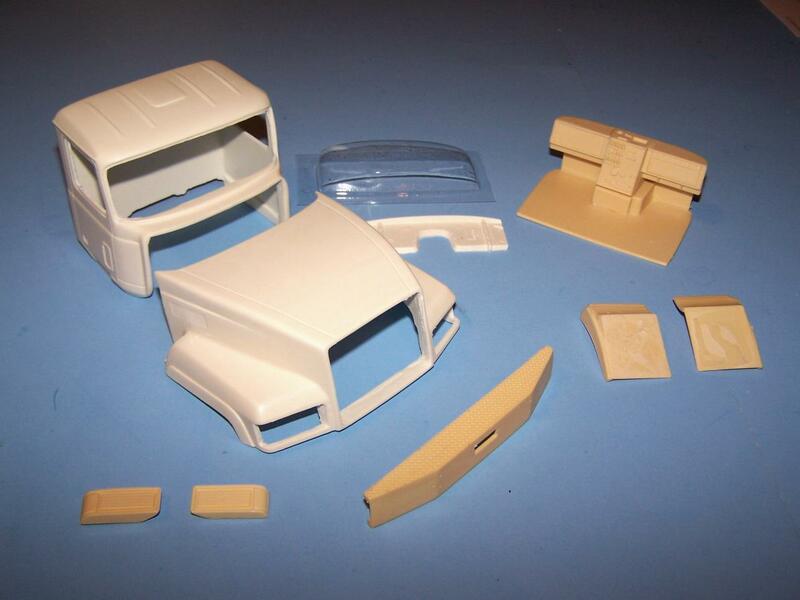 Use Italeri kit #717 Western Star 5964SS. 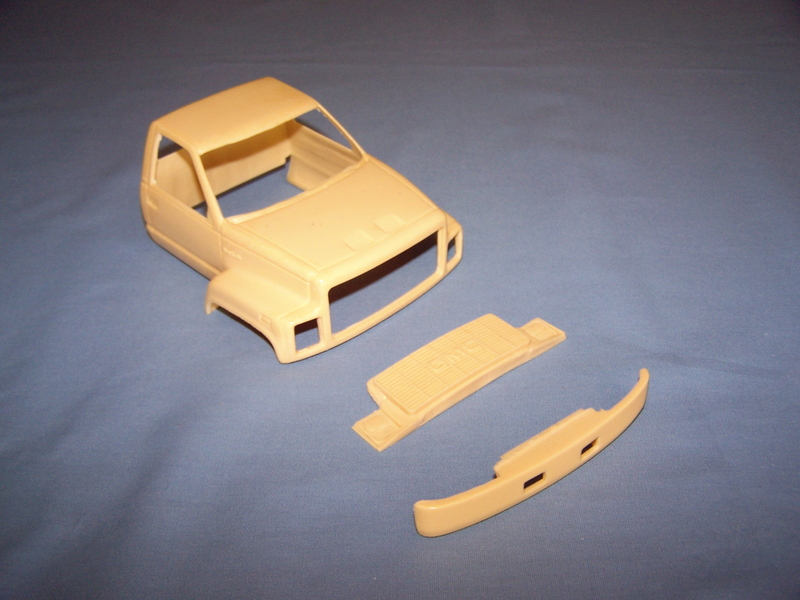 See our plastic kits section for the donor kit and cab accessories for a day cab conversion. Includes cab/hood, grill, bumper, headlights, interior bucket and seats. 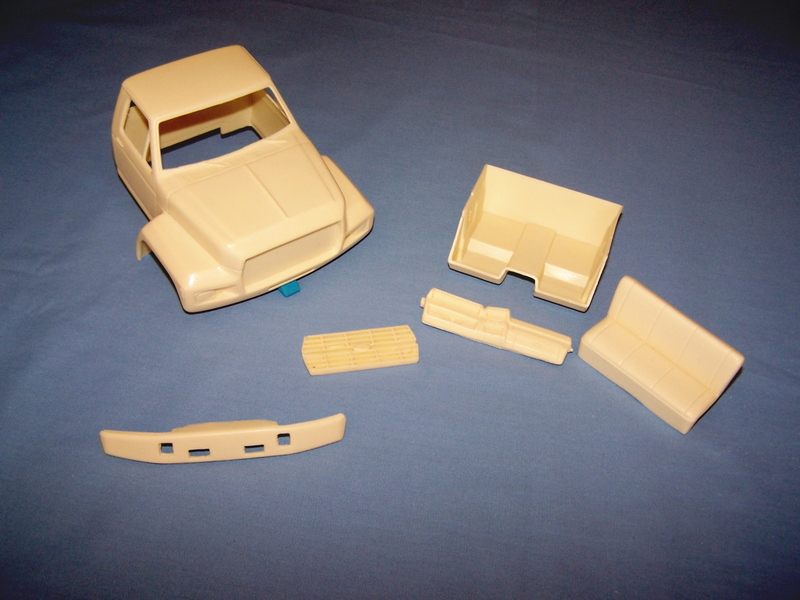 Use Ertl S-series or AMT Ford L series kit. Includes cab, grill and bumper. 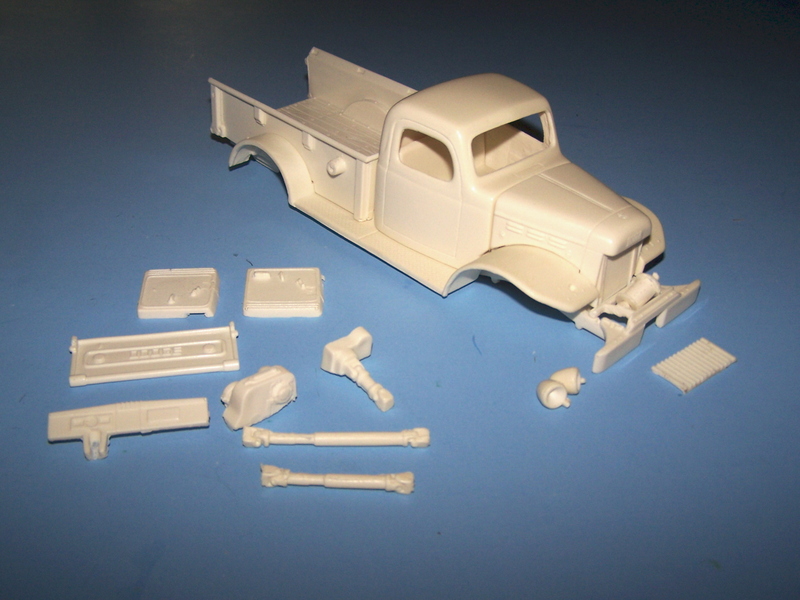 Use AMT Chevy/GMC pick up kit and AMT Ford L series kit. 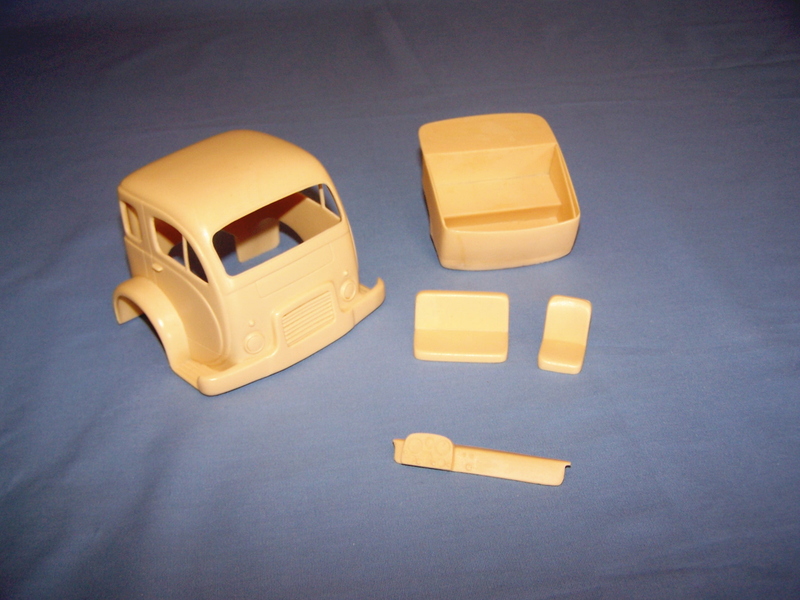 Resin cab conversion of the less known brother to the Mack MS (Midliner). Includes cab, hood, bumper, interior base, dash, passenger seat, fuel tank, grills and headlights. 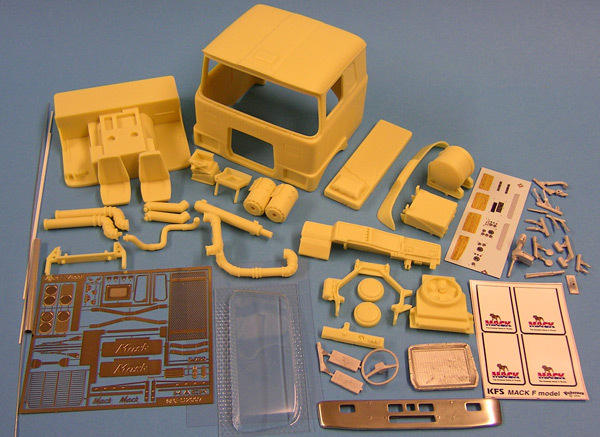 Use Italeri or Revell European cab over with in line six engine. Resin cast flat roof panel. 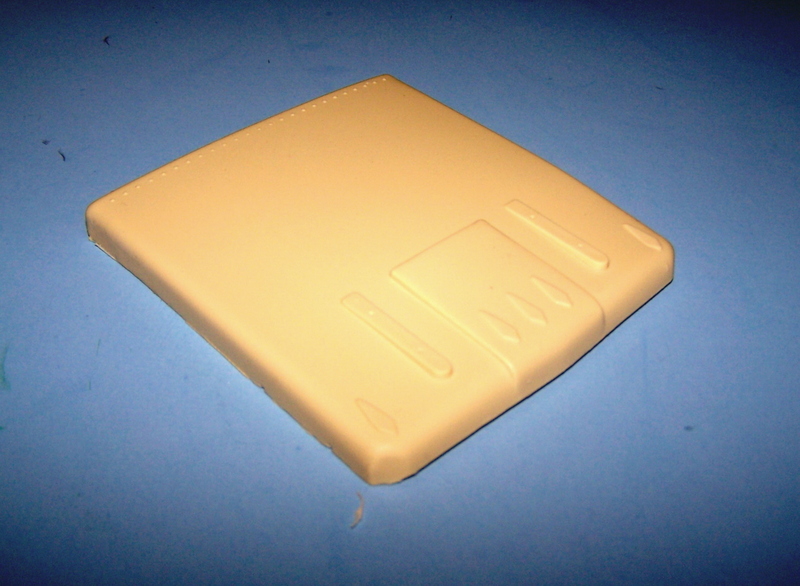 Flat roof panel for use to convert Revell or AMT Aerodyne cabs to a flat roof. Includes cab, hood, grill shell, grill, headlights, bed and tail gate, fenders and running boards, interior base, door panels, dash, front bumper with winch, transfer case, drive shafts and frame. 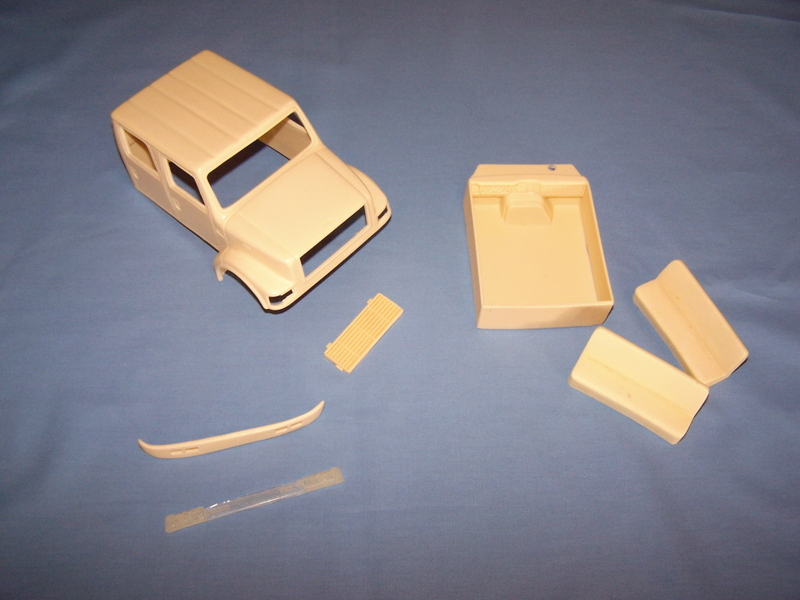 Includes cab, hood, upper and lower steps.